We all have one hero in our lives. He looks ordinary, doesn’t wear a superhero costume but is often seen in suits and tuxedos. One of the greatest treasures of our lives, he is nobody else but our dad. Celebrate his glory on this upcoming Father’s day, send personalized father's day gifts Online from India’s leading personalized gift portal, FlowerAura. Dads are known to be the greatest ordinary man who wraps us in the most extraordinary wave of care and affection. He loves us even before our first baby steps and continues his warmth of love even when we go away abroad for studies. The greatest storyteller, adventurer, and an attentive encourager, our life chapters are full of his special moments and there can be no better occasion than Father’s day to celebrate him and his glory. So, are you all set to wish him on this Father’s day? Please don’t say that you’re planning to simply pick up your phone and drop a message to him with a simple message. This can be a wonderful idea but how about you wish him with blissful tokens of uniqueness and convey your heartfelt emotions with them. Well, going out and picking a gift may seem like a tiresome job, but now that you’re here. Let us affirm you that you’ve to go nowhere in search hunt of a custom fathers day gifts. 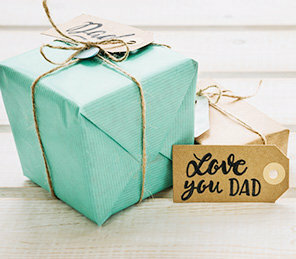 Yes, Father’s day is all about personalized gifts from FlowerAura. We let you pick your favorite creative gift just for him, let it customize as per your accordance and send your feelings with it. All you need to do is pick fathers day cards and choose a personalized gift from a diverse array of handpicked gifts from FlowerAura, upload his picture and send your warm wishes with a meaningful personal touch all the way to his desk. Grace upcoming father's day with personalized gifts for dad from your trusted one and only FlowerAura. A family can never be completed without a father. He is our first friend and will continue to remain the everlasting companion as well. Every year gives you the opportunity of praising him, no matter whether you the son or the daughter, being a wife or mother, you can also pool in with your kids and order personalized father's day gifts from a wide array available on the online store of FlowerAura. Friends seem to become a major part of father’s day celebration and when it comes to celebrating the greatest friend of all, you can always convey your gratitude with personalised father's day mug and make the moment, a special one. Being a son or a brother, you can always grace his presence via personalised cushions for father's day. A gift for father's day from son, it will be a surprise he would never forget. You can always choose from one of these gifts for father’s day and send it online via same day delivery or also opt for next-day delivery in case you have chosen your gift prior to the occasion. Midnight delivery is an exclusive feature offered by FlowerAura which avails you to deliver your thoughtful feelings via father's day flowers, cakes and other customized gifts just when the clock ticks twelve at midnight and the celebratory occasion begins. It’s not just father’s day or Mother’s day, with FlowerAura you can grace your parent’s anniversary, girlfriend’s birthday, auspicious Rakhi, illuminating Diwali and a whole week of Valentines’ Day charmingly. All you need to do is choose a personalized gift and order it via midnight delivery. You can also opt for express delivery, same-day delivery or next day delivery and send your warm wishes with FlowerAura.